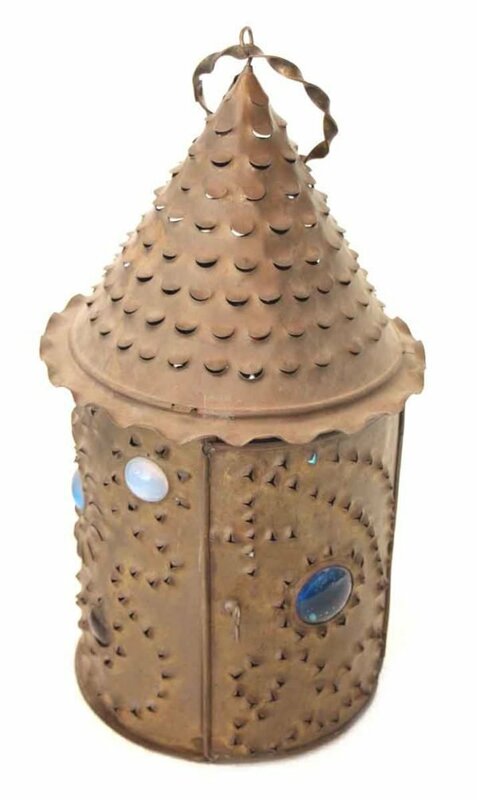 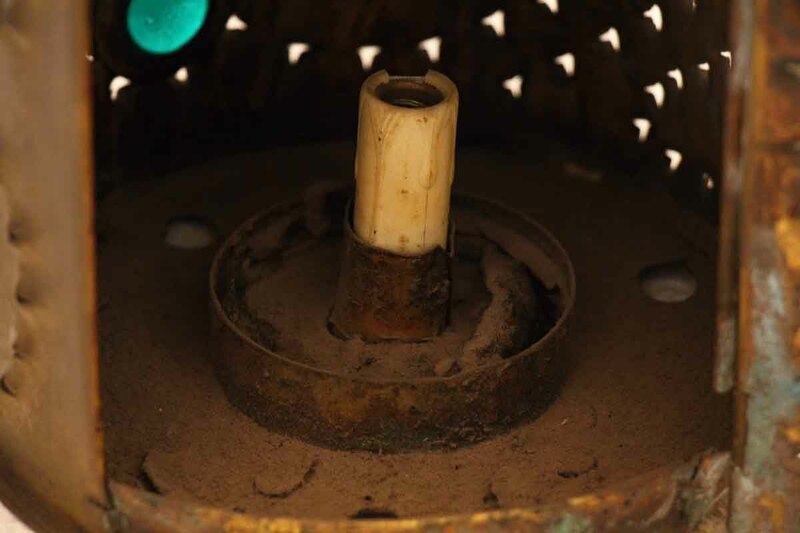 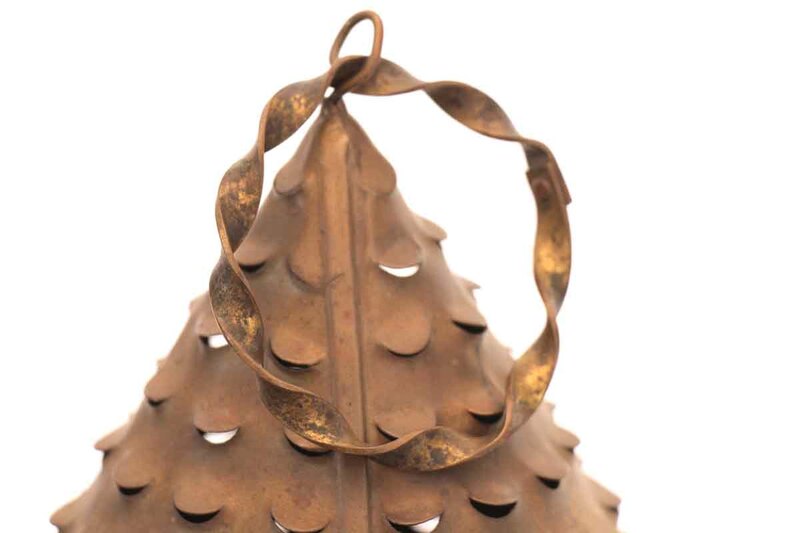 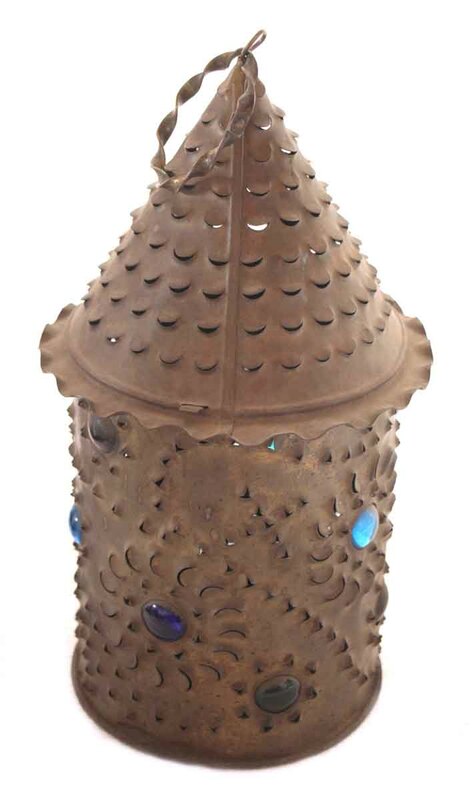 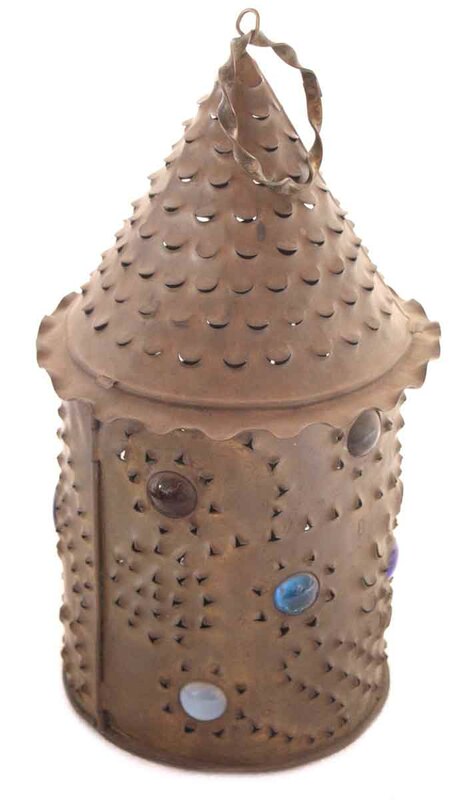 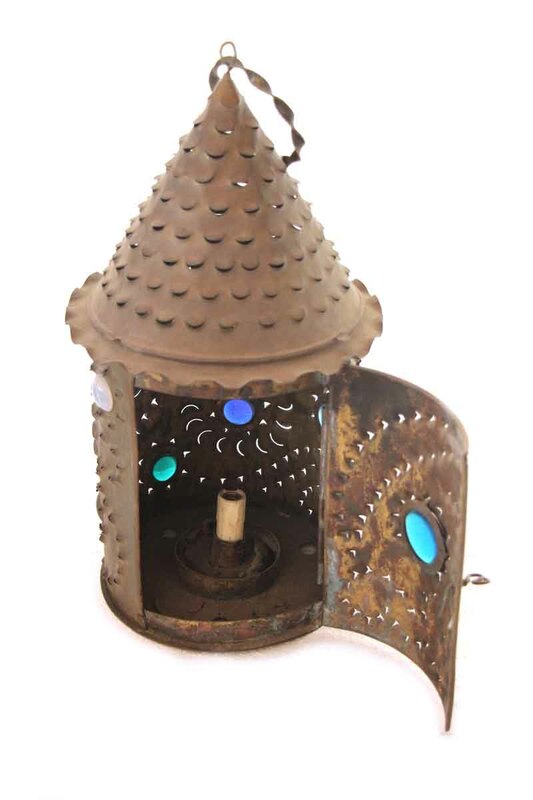 This is an original punched tin Revere style single candle lantern. 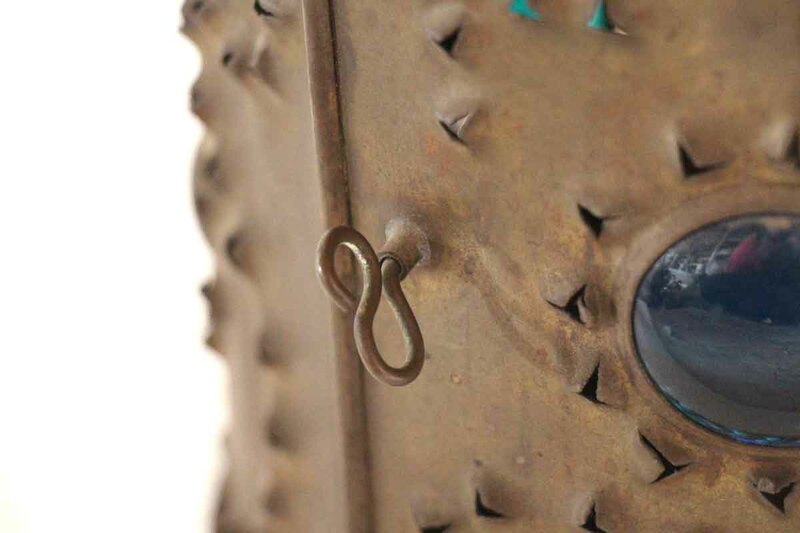 All of the stained glass jewels are intact. 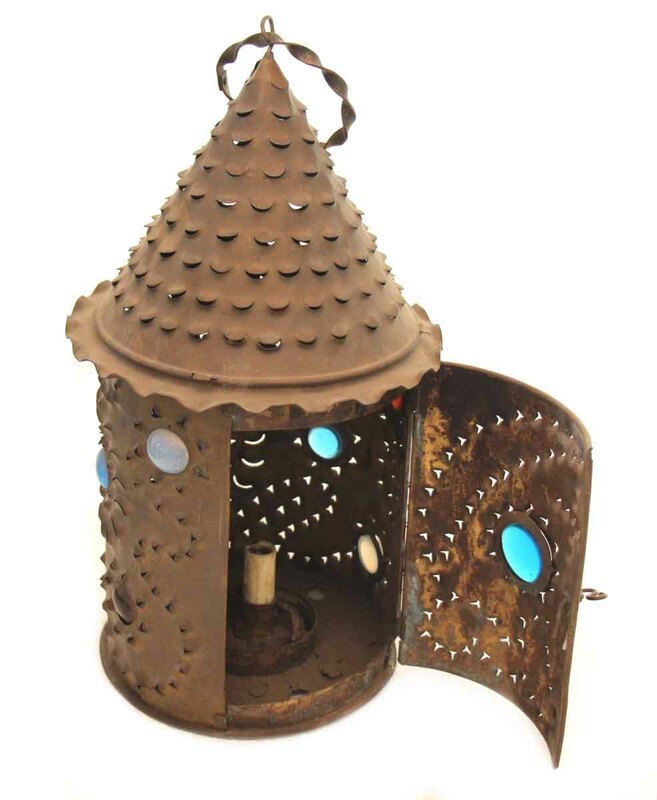 This is an original signed Bradley & Hubbard light.